MSC Software 'Simulating Reality' Conference - Apex Model Build Challenge | Evotech Computer-Aided Engineering Ltd. The challenge was to generate a fully-verified FEA representation of each structure in the shortest time frame. If you’d like to take up the challenge, the Evotech-version of the CAD geometry is available for download here, and a trial version of MSC Apex available here. 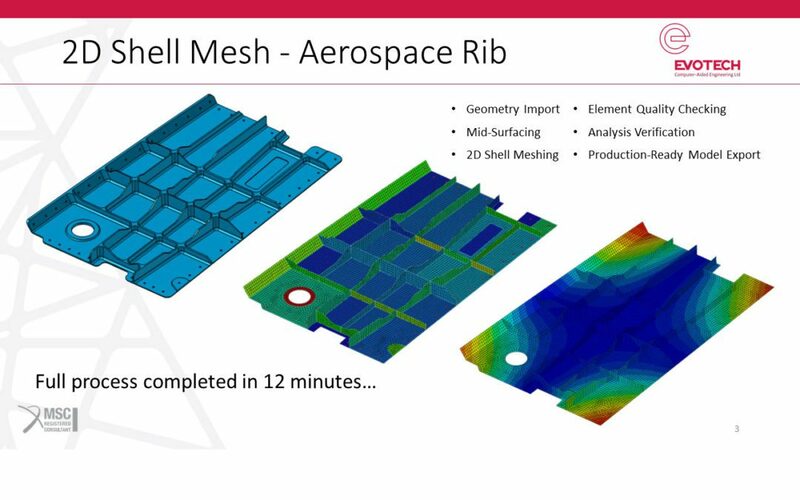 We’d love to hear how you got on in your current FEA toolset, and of course, MSC Apex!